Very unique items issued in Argentina in the mid 2000's. Very limited in production issued as toy premium items. 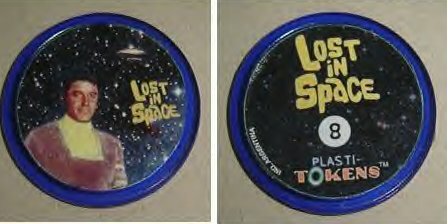 A series of numbered Lost in Space plastic tokens and are very scares even in Argentina, and never sold outside of Argentina.